ScienceDaily – The benefits of blueberry consumption have been demonstrated in several nutrition studies, more specifically the cardio-protective benefits derived from their high polyphenol content. Blueberries have shown potential to have a positive effect on everything from aging to metabolic syndrome. Recently, a researcher from Texas Woman’s University (TWU) in Denton, TX, examined whether blueberries could play a role in reducing one of the world’s greatest health challenges: obesity. Shiwani Moghe, MS, a graduate student at TWU, decided to evaluate whether blueberry polyphenols play a role in adipocyte differentiation, the process in which a relatively unspecialized cell acquires specialized features of an adipocyte, an animal connective tissue cell specialized for the synthesis and storage of fat. Plant polyphenols have been shown to fight adipogenesis, which is the development of fat cells, and induce lipolysis, which is the breakdown of lipids/fat. “I wanted to see if using blueberry polyphenols could inhibit obesity at a molecular stage,” said Moghe. The study was performed in tissue cultures taken from mice. The polyphenols showed a dose-dependent suppression of adipocyte differentiation. The lipid content in the control group was significantly higher than the content of the tissue given three doses of blueberry polyphenols. The highest dose of blueberry polyphenols yielded a 73% decrease in lipids; the lowest dose showed a 27% decrease. These preliminary results contribute more items to the laundry list of benefits related to blueberries, which have already been shown to mitigate health conditions like cardiovascular disease and metabolic syndrome. Moghe presented her research at the Experimental Biology 2011 meeting for the American Society for Nutrition on April 10. The above story is reprinted (with editorial adaptations by ScienceDaily staff) from materials provided by Federation of American Societies for Experimental Biology, via EurekAlert!, a service of AAAS. 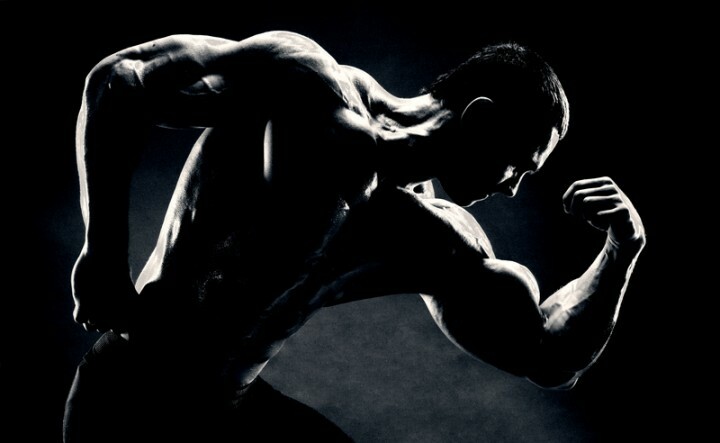 The Dark Direction of Bodybuilding!